Trying to figure out how to squeeze more profits from your machining centers? PVD coatings significantly prolong tool life and enable more aggressive speeds and feeds, reducing cycle time and improving productivity. 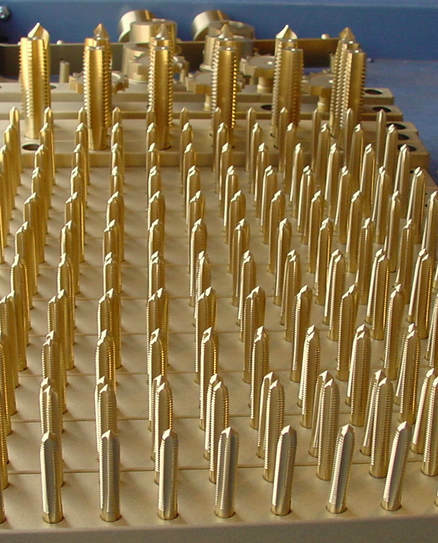 With a PVD coating, tools will last longer and you’ll be making more chips and more profits in a given time period. Surface Solutions offers four very good PVD coatings for cutting tool applications, Alpha™, AlTiN, TiCN and TiN. Alpha™ – Is an all-purpose nanocoating that will deliver 2 – 4x the tool life over TiN coating. 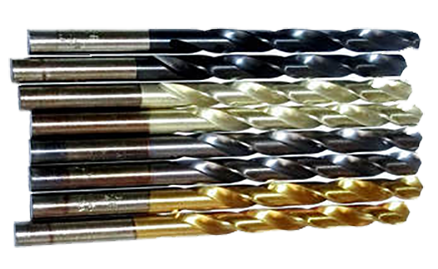 AlTiN – If you are really “pushing” your tools with little or no coolants, AlTiN will offer the best oxidation resistance. TiCN – is very hard and will provide 2 – 4x the tool life over TiN. 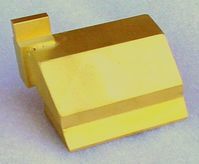 TiN – The most common, high-performance PVD coating. 2 – 7x longer tool life over uncoated tools. Faster speeds and feeds, for increased productivity. Make higher quality parts (better threads, more consistent holes, etc.). Can be re-sharpened and recoated numerous times. Coatings are extremely cost-effective, usually only costing about 5 – 10 percent of what the tool cost. Just doubling tool life results in getting back over $10 in profits for every $1 spent on coatings. Our prices haven’t changed in 23 years and with a minimum charge of only $25, how can you go wrong in using coatings in your machining applications? In most cases, our standard prices for cutting tools are less than what the distributor, or manufacturer, is charging you. Do yourself a favor and get a higher quality coating for a lower price. Start Getting Longer Tool Life Today! Alpha cutters are amazing! And I hear TiAlN can only get better… Either way we are going to ship you a huge set to get processed asap… Thank you so much! Kirk is thinking that these cutters just eliminated an entire process to the current one we have to do!!!! We are actually amazed at how much time this is saving on that process. Makes me wonder what else we are doing the hard way..LOL! 22.5% Productivity Improvement in 17-4 ph stainless steel with TiCN Coating– Customer was using an uncoated cutter, then switched to a TiCN coated cutter. The TiCN coating allowed the customer to increase speeds and feeds so a part that was taking 40 seconds to make, now only takes 31 seconds to make. The coating also improved the quality of the part. Maximize Cutting Tool Life with PVD Coatings!